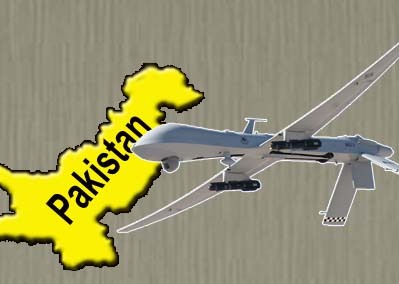 Pakistan – USA Drone diplomacy. Pakistan’s just-elected new prime minister, Nawaz Sharif, is officially the thorn in the side of President Obama’s beloved Predator drones. In a speech just before getting sworn into office Wednesday, Sharif announced he would no longer allow the U.S. to execute drone strikes on Pakistani soil. “This daily routine of drone attacks, this chapter shall now be closed,” Sharif said before parliament. “We respect the sovereignty of others and they should also respect our sovereignty and independence. This campaign should come to an end.” Whether it ever will come to an end, well, that’s a tall order. Pakistan reportedly stopped consenting to U.S. drone strikes altogether back in September, and Obama’s big drone speech last month represented a shift in policy that White House officials had long said was focused on smoothing over relations with Pakistan as unmanned targeting increasingly centered on terror havens like Yemen, but the first reported strike since the speech killed a Taliban commander in Pakistan. A poll released by the Wall Street Journal and NBC News today shows 66 percent of Americans support drone strikes, with high approval from both political parties. So now Sharif, facing huge financial and domestic problems, is using his new platform to posture up to the U.S. and taking a stand against the drone strike program. Whether or not he’ll follow through on that promise — whether or not he even can — will be interesting to watch. Posted on June 7, 2013, in Aviation, Geo-Politics. Bookmark the permalink. 1 Comment.